In 2013 we had the pleasure of birding in the Louisiana rice fields with Steve Cardiff and Donna Dittman who are indefatigable wader enthusiasts (although they would probably call them shorebirds!). (L to R) Steve, Donna and Rick looking for Hudsonian Godwit. These two stalwarts with others have been doing wader surveys, called the Shorebird Blitz in the region for a number of years and this year have turned the concept into a festival called Waders in Working Wetlands: Shorebird Extravaganza. I only wish we could go, it will be a blast I'm sure and great waders to be seen right on the doorstep. Wader Quest donated $50 to the project as it is promoting our vision of community conservation with local farmers working alongside conservationists to protect and support wader habitat. The idea of the festival is to celebrate the amazing diversity of waders that pass through the region in springtime. At least 30 species regularly occur inland, with an additional five that can be found on coastal field trips. Located at the southern terminus of the Central Flyway, shorebirds funnel through this area, stopping to rest and refuel on their journey northward to the breeding grounds. Long-billed Dowitcher in the Louisiana rice fields. Although shorebird migration is already under way as early as late February, migration peaks during late April-early May and continues into early June. The festival will be held in late April-early May because overall diversity is greatest then, with relatively early transient species (e.g., American Golden Plover, Buff-breasted and Pectoral Sandpipers) overlapping with relatively late ones (e.g., Hudsonian Godwit, White-rumped Sandpiper). Early May is also the time period when they have held their Shorebird Blitz, the annual census of waders in southwestern Louisiana’s “working wetlands” which consist of water-based rice and crayfish agriculture. During the one-day Blitz single parties have tallied over 47,000 individual shorebirds in their survey area. You may be treated to flocks of Wilson's Phalaropes. The festival will also offer guided field trips to see regional non wader specialities including Swallow-tailed Kite, Red-cockaded Woodpecker, Bachman’s Sparrow and Swainson’s Warbler and the Cameron Parish coast (for coastal breeding shorebirds such as American Oystercatcher and Wilson’s Plover, as well as other Gulf Coast specialities such as Clapper Rail and Seaside Sparrow. At this time of year there is also the chance that a late cold front will cause a grounding of migrants (a “fallout”) on the coast. 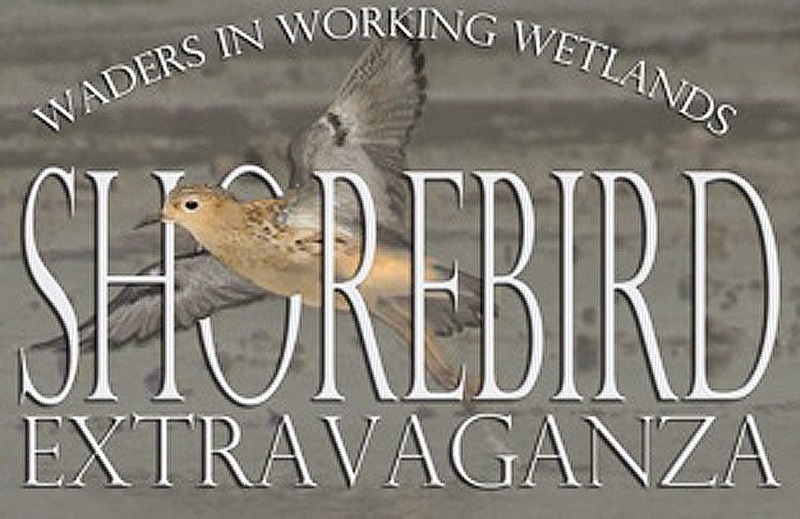 There will also be identification workshops and talks; for more information visit the Shorebirds Extravaganza website. Festival registration is available now to book trips and workshops. Book early they are sure to go fast.